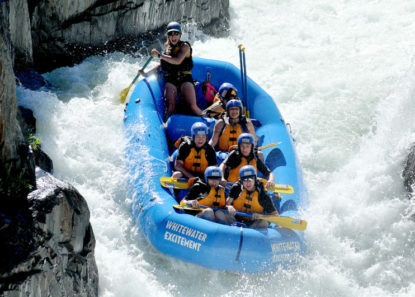 Looking for the most rafting you can get in a day, well our Whole River trip is for you. 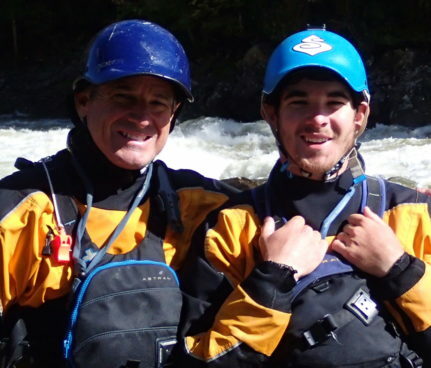 21 miles of both the Chili Bar and Gorge sections, tons of exciting rapids, time to float through some fun rapids and calm areas, and our riverside buffet lunch await you on this full day river rafting adventure. 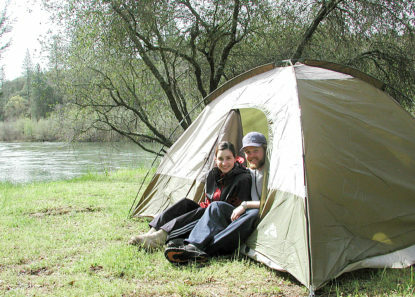 Itinerary: Our Whole River, 21 mile adventure begins at 8:00 AM at our South Fork Camp area, where your guides will meet you and check you in for the trip. We then board our bus for a 30 min. 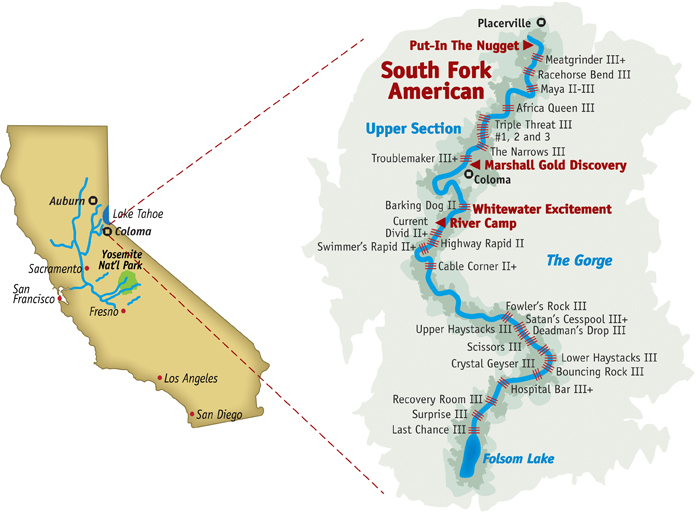 scenic ride along Gold Country Highway 49, driving right past the Coloma State Park, where gold was first discovered on the American River in 1848, that started the California gold rush. Arriving at Chili Bar, our launching point, your guides will help you with your pfd’s (life jackets), helmets, and paddles. 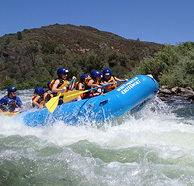 We will give a river safety orientation, break up into groups and guides, and then hit the river for our longest all day South Fork American River Rafting adventure. 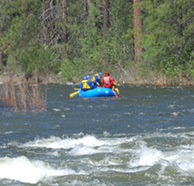 Just downstream is our first class 3 rapid, “Meatgrinder”, the longest on the river (not the biggest, though). 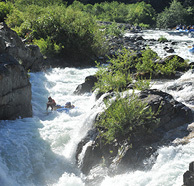 The morning session is packed with rapids that will challenge and thrill you, the last of the morning will be the famous “Troublemaker Rapid”. After Troublemaker, we relax in a more mellow section for about an hour, then pull off at our riverside camp and your guides will prepare our buffet deli style lunch with all the trimmings. There will be bathrooms there and places to sit around and talk about the rapids of the morning and the next section to come – The Gorge! At the end of the day, our busses will be waiting for you with cold drinks and snacks for the 30 min ride back to the meeting area, where again your guide’s will be there to thank you for coming and give you photo coupons good for money off your rapid photo purchase (if you wish). Wet Suits and splash jackets in springtime before Memorial Day weekend.